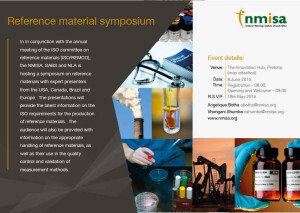 On behalf of the National Metrology Institute of South Africa (NMISA), the NLA-SA is pleased to invite all interested parties to the following symposium. This is a no charge event and has attracted various international guest presenters. 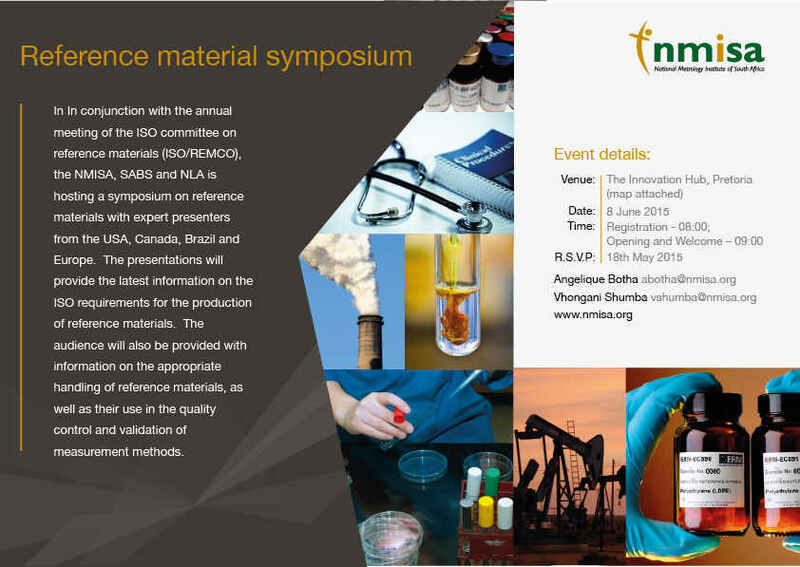 We highly recommend that if you have any interest in Reference Materials either as a user or a manufacturer you consider attending.